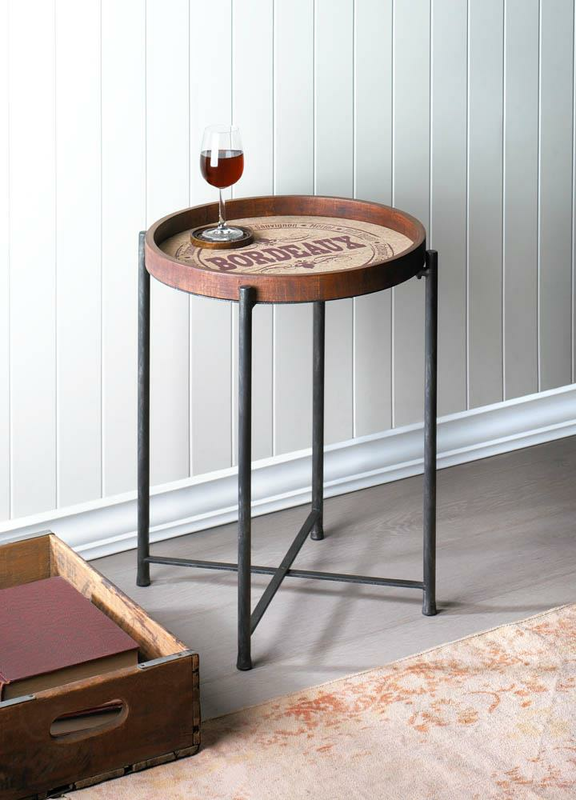 Bring a little wine country style to your home with this gorgeous and timeless table. 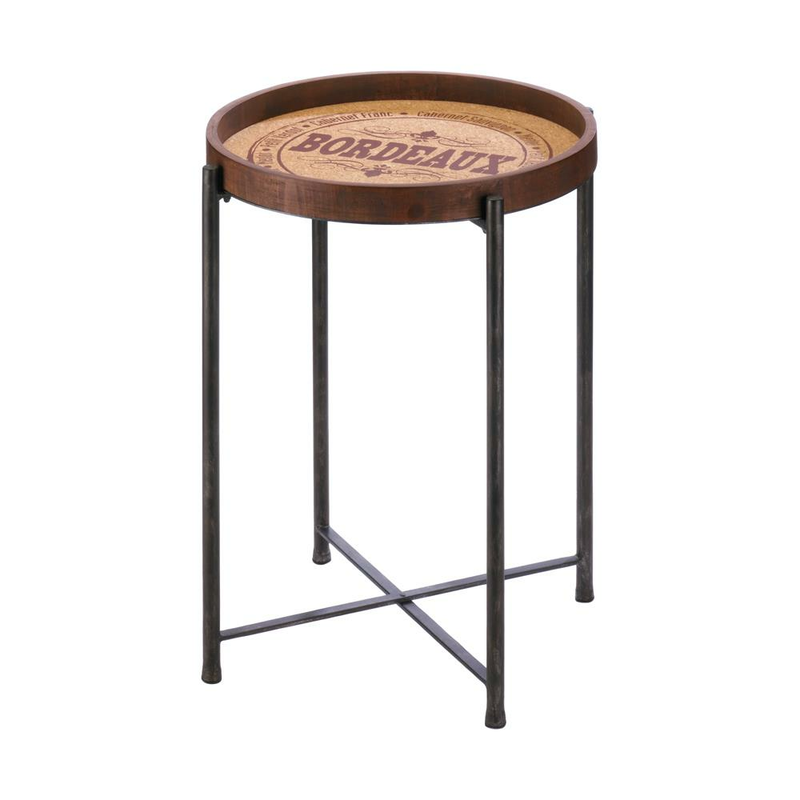 The wooden table features a classic Bordeaux wine label design inset on a metal four-legged stand. 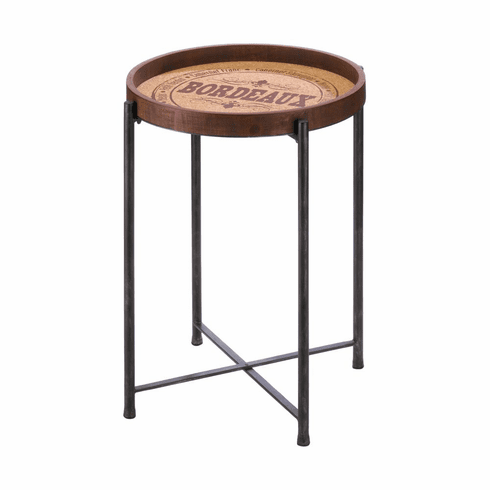 It will look great on your covered patio and in your living room! Contents not included. Weight 5.6 pounds. 18" x 18" x 21.5". Metal, MDF Wood. 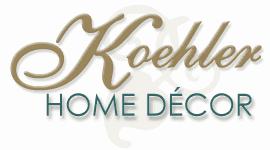 UPC Number: 849179035648.